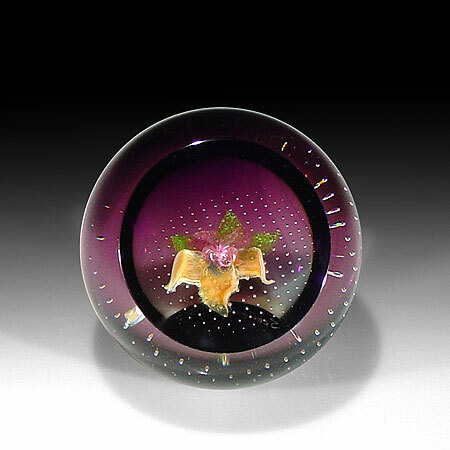 Caithness Glass: Dewdrop orchid paperweight. 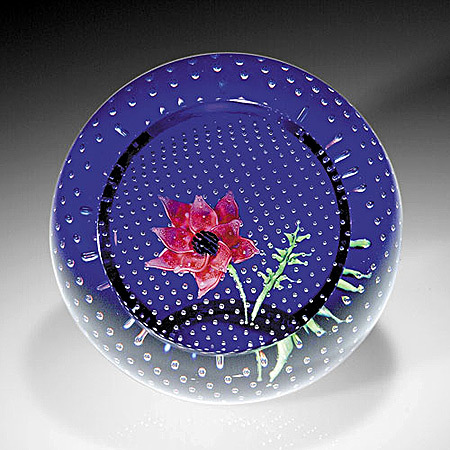 A mauve orchid with light green leaves rests on a layer of evenly spaced bubbles over a translucent aqua ground. 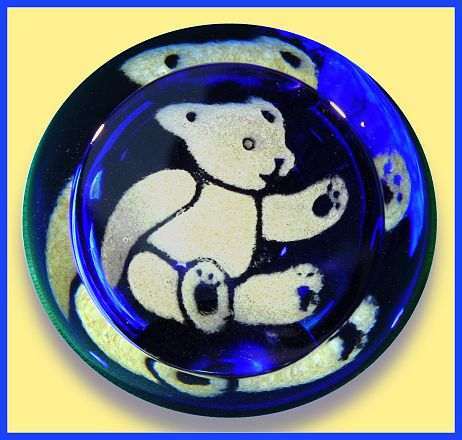 This paperweight has a single top facet, and is signed and numbered. Diameter: 2 ". $125. (#P024). 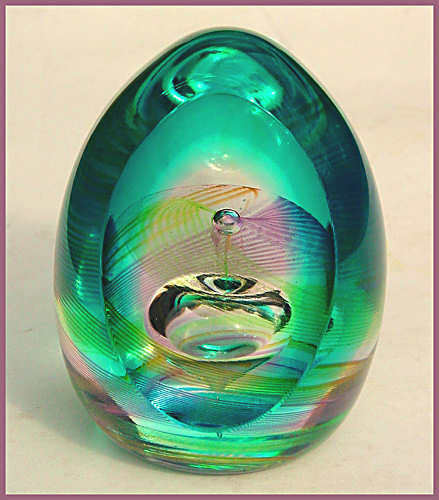 Caithness Glass: March-Primrose paperweight. 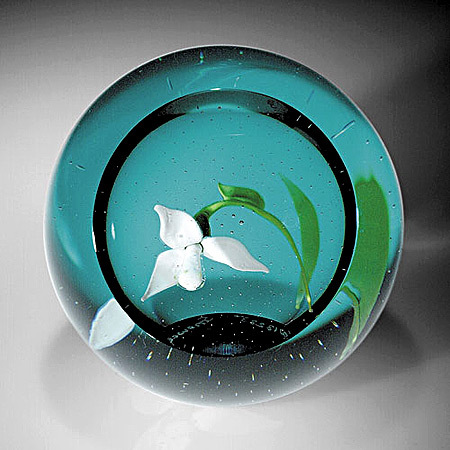 A yellow primrose on green stem rests on a layer of evenly spaced bubbles over a translucent aqua ground. 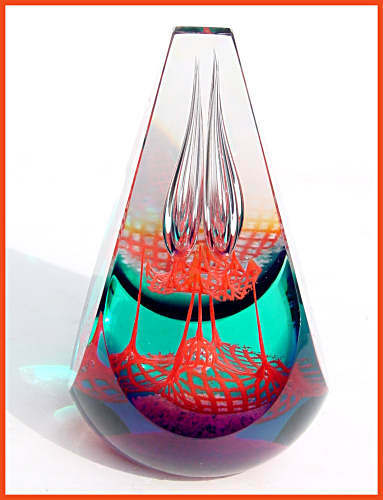 This paperweight, which was designed by Helen MacDonald, has a single top facet. It is signed, numbered and has a certificate. Diameter: 2 ". $125. (#P026).